Awake and Alert. CHRISTIAN ZIONISTS ARE PHARISAICAL MURDERERS AND MEMBERS OF THE SYNAGOGUE OF SATAN: Is Anti-Zionism Rising in Korea? Is Anti-Zionism Rising in Korea? The Israelis can solve the anti-Israeli or anti-Jewish reactions overnight by simply denouncing their essentially diabolical/Talmudic activity. Until they do that, then anti-Jewish reactions will continue to spread like wild fire around the world. The Israeli regime has inexorably wounded itself by shooting a 21-year-old Palestinian medical volunteer by the name of Razan al-Najjar. She died on the spot. 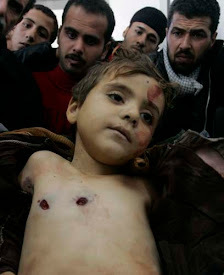 She was not a terrorist, so there was no way that Israeli soldiers could say that they were just defending themselves. Razan al-Najjar was not aggressive either, so the regime could not say that she was “refusing” arrest. She was unarmed, so there was no way Israeli soldiers could wiggle out of the fact that she posed no threat whatsoever. Razan’s mother, Sabreen, said: “I was afraid for her, but Razan told us she wasn’t afraid, she felt obliged to help and was clearly wearing a medical vest.” So what did the Israeli regime actually say in their defense? Moreover, we know that shoot to kill has been the operating system of the Israel regime. In fact, they have been using it for the better part of sixty years. As already suggested, this has been the ideological worldview and the diabolical philosophy upon which the Israeli regime is based, and the scholarly sources backing this up is an embarrassment to riches. So we do have a problem here. If the Palestinians are grasshoppers, then they obviously deserve to die. According to this view, they are pestilence; they need to be expunged, and the Israeli regime is doing them a favor by shooting them like birds. Moreover, if “one million Arabs are not worth a Jewish fingernail,” then the death of Razan al-Najjar isn’t worth a damn thing to the Israel regime. Obviously the world is observing that the Israeli regime is playing a diabolical game here. One of my dear colleagues and dear friend, John Jung, wrote me this morning and told me that one of the most popular newspapers in Korea is reacting to Razan al-Najjar’s death. What we are seeing here is that Israeli officials are invariably inciting anti-Israeli or anti-Jewish reactions around the world. And this has been a recurring theme throughout history. “Police officers were beaten and thrown to the ground and a military unit which the police called for help was met with a hail of rocks. Ten of the rioters were arrested, and six of them held in jail. The mob then attacked the house of Theresie Huegelin, where the Jew Abraham Loeb Brueckner ran a junk shop. One of the main causes of the Hep-Hep riot again was that the Jewish oligarchs began to cheat the system and sucked the blood out of the middle class. This was never an isolated case. Centuries earlier, we find the same phenomenon in Poland, most particularly during the 1600s. Jewish historiographer Heinrich Graetz declared that once the Jews began to immerse themselves in the study of the Talmud, wickedness became the rule and not the exception. They immediately began to cheat the system. Well, the Talmud has always been a problem because it is against the moral and political order. In fact, it is against Logos and all its metaphysical manifestation. 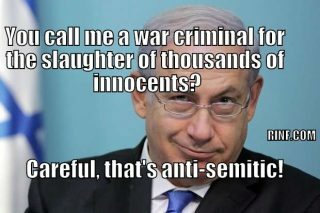 The interesting thing is that Netanyahu has said that the Talmud is Israel’s legal system. If that is the case, then we have a serious problem here because the Talmud views people like Netanyahu as “special” or “gifted” and non-Jews as beasts that need to be used and reused. So the Israelis and Jewish radicals can solve the anti-Israeli or anti-Jewish reactions overnight by simply denouncing their essentially diabolical/Talmudic activity. Until they do that, then anti-Jewish reactions will continue to spread like wild fire around the world. And who would have believed that Korea would begin to see things in a different light? Siobhán O’Grady, “A Palestinian medic was shot dead in Gaza. Now Israel says it will investigate,” Washington Post, June 2, 2018. For a study on Hamas and where the issues actually lie, see Sara Roy, Hamas and Civil Society in Gaza: Engaging the Islamist Social Sector (Princeton: Princeton University Press, 2011). Hind Khoudary, “‘My daughter was a target’: Gaza grieves for paramedic killed by Israel,” Middle East Eye, June 4, 2018. See for example Norman Finkelstein, Gaza: An Inquest into Its Martyrdom (Oakland: University of California Press, 2017); Ilan Pappe, The Forgotten Palestinians: A History of the Palestinians in Israel (New Haven: Yale University Press, 2011); The Ethnic Cleansing of Palestine (Oxford: One World, 2006); Benny Morris, The Birth of the Palestinian Refugee Problem Revisited (Cambridge: Cambridge University Press, 1998); Avi Shlaim, Israel and Palestine: Reappraisals, Revisions, Refutations (New York: Verso, 2010). See Ishaan Tharoor, “Israel’s new justice minister considers all Palestinians to be ‘the enemy,’” Washington Post, May 7, 2015. E. Michael Jones, Barren Metal: A History of Capitalism as the Conflict Between Labor and Usury (South Bend: Fidelity Press, 2014), 870, 871, 872. See Peter Schaefer, Jesus in the Talmud (Princeton: Princeton University Press, 2007). Marissa Newman, “Netanyahu reported to say legal system based on Talmud,” Times of Israel, May 8, 2014.